Once a bustling trading center and an important port on the spice route, Zanzibar Island is today a tranquil, coastal location where you can spend long hours on your idyllic Indian Ocean vacation in Africa, strolling along the beaches with soft, delicate white sands sinking below your feet. The gentle waves from crystal clear waters are seemingly subdued by the unending miles of seashore that embraces its marine ecology. Looking out over the vast ocean and the shimmering turquoise waters dotted with white, triangular sails of the picturesque traditional fishing dhows will take your breath away. Enjoy the spectacular sun rises from the east of the island or revel in the golden colors of the stunning sunsets on the west coast. The lush tropical vegetation creates a vibrant, verdant contrast to the purity of the sands even as colorful Zanzibari birds like yellow-collared lovebird create flitting rainbows among them. 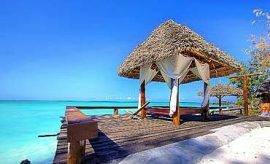 Zanzibar is not simply a single island, but an archipelago of islands that comprise of Unguja or Zanzibar, Pemba Island on the north and surrounding isles like Mnemba, Chapwani, Chumbe, Bawe, Changuu and more. As you will learn on your coastal tour with AfricanMecca, there are also a host of smaller islands that lie along the coast, each more scenic than the other. Some of these islands are actually ancient coral beds that nature has covered with dense vegetation while avian and marine life have moved in to make them their home. 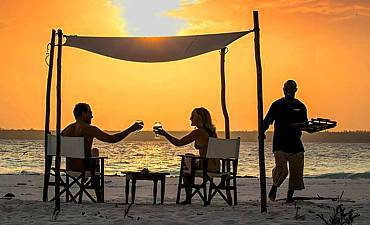 On the northern tip of Zanzibar, lies the Nungwi Beach that is accessible with a long, winding drive through its charming, laid-back village. On the northwest is Kendwa Beach, a favored hip strip for partygoers on a full moon. 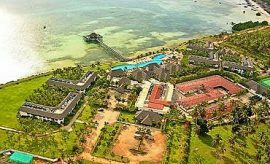 Should you beach holiday at one of the resorts in this section of the island in Zanzibar, you are likely to spot monkeys frolicking in the trees. Matemwe Beach lies to the northeast of the island. Explore a little off the coast and you will encounter the tiny atoll island of Mnemba. The marine park at the atoll is a wondrous haven for marine life, visited by snorkelers and scuba divers around the world. Indeed, an Eden on earth, the island also hosts the diminutive suni antelope along with migratory birds, nesting turtles and butterflies. 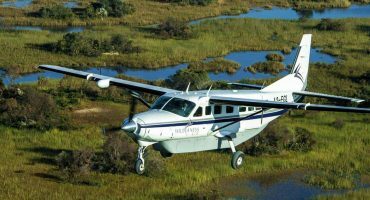 Travel along the eastern coast of the island, and you will discover the beaches of Kiwengwa, Michamvi, Chwaka, Pongwe and Uroa. The serenity of these seasides is ideal for taking long naps in hammocks strung between palm trees strolling on the barefoot beach or watching local farmers harvest seaweed from the ocean. You will also enjoy discovering tiny sea creatures left behind by the ebbing tide in little rock pools. Head further south to where the delightful beaches of Bwejuu, Jambiani and Kizimkazi await your exploration. On Bwejuu, you can enjoy the fantastic experience of living like a Sultan. 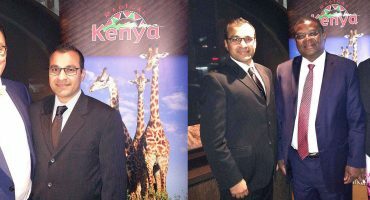 Accommodations like Baraza Resort & Spa give you a glimpse of emperor like-living. As you go island touring around Zanzibar with AfricanMecca, you will also come upon a unique beachfront that is distinct from the others, thanks to its natural golden sands which are very unusual for Zanzibar, the Fumba Beach which is located on the west coast in Menai Bay. Other seashores in the west are around Mbweni Ruins and Mtoni Marine near Stone Town or in the Bububu and Mangapwani expanses. 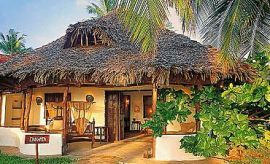 Should you take a short hop from the Stone Town coast, you could visit the private islands of Chumbe, Chapwani, Bawe and Changuu. Chumbe Island is the first gazetted marine park of Tanzania where you will find some exquisite varieties of flora that have adapted to living on a coral island that has no fresh ground water. They survive on the moisture they harvest from the humid atmosphere or the blessing of rain. 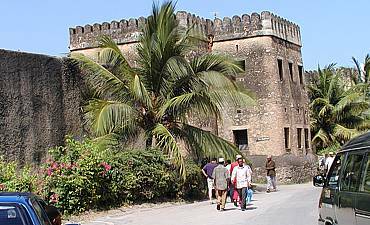 Chapwani Island to the north of Stone Town is a narrow strip of land that hosts few varieties of birds including fruit bats, white egrets, fish eagles and black herons. 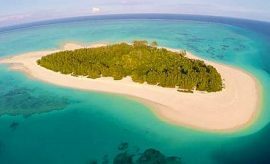 Changuu Island plays host to giant Aldabra tortoises and marine birds while Bawe Island is a mesmerizing dot in the ocean, scarcely the size of a soccer field. Your ocean travel in Tanzania would not be complete without a visit to Pemba Island, which is the northernmost of this archipelago. 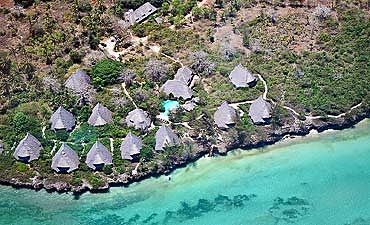 Also called the Green Island, Pemba's incredible beauty has made it a coveted possession all through the centuries. Although, smaller than Zanzibar in size, it has a much hillier landscape and is covered with thick forests, hence the sanctified name. Cloves and other spices are grown on the island which in their organic form is a pleasing sight to behold. Their fragrance delicately mingles with the ocean breezes and creates a soothing ambience to relax and absorb in, best suited for beach honeymooners and romantic escapaders. The island also hosts a diversity of fauna that you will love viewing as you explore the island and its many enigmas. 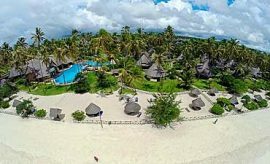 Travel southwards from Zanzibar Island when holidaying in Tanzania and you will come to Mafia Island. Although not officially part of Zanzibar, the very fascinating aspect of this island is that the local communities are very content with their traditional living styles and seem to resist all efforts at modernization. 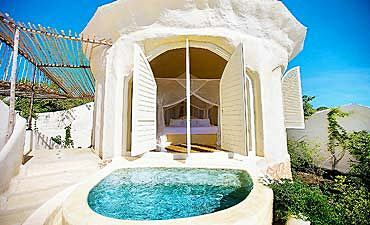 When compared to Zanzibar, the presence of only a few accommodations on Mafia is a testament to that. The island is also scented with the aromas of the fruit, spice and nut plantations. Sip sweet coconut water right out of the kernels or bite into succulent pineapples, mangoes and pawpaws. The island farmers also grow beans, cashew nuts, pigeon peas, cassava and rice. Do take the time to visit Chole Bay and enjoy diving and snorkelling forays in the shallow reefs. 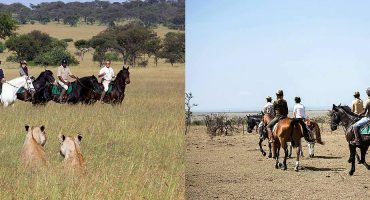 Contact our tour specialist at AfricanMecca Safaris and we will work with you to plan a dream itinerary for your seaside trip Zanzibar. 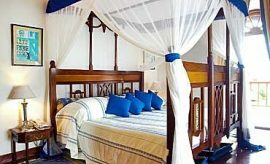 We will guarantee you will savor the islands of Zanzibar with all your senses, sight, sound, scents, sensations and tastes!